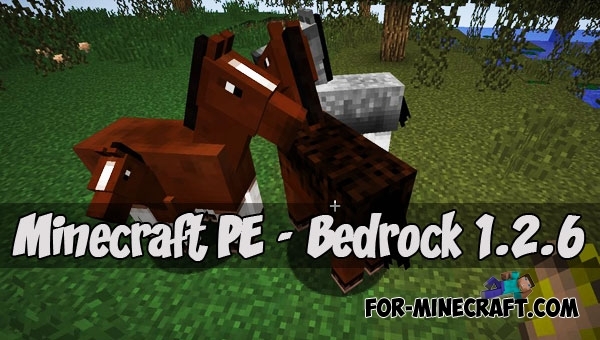 Mojang continue to please the players with new content and this time they seriously surprised.. 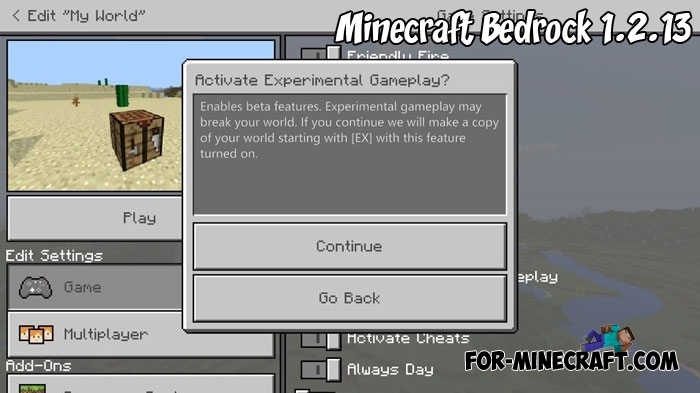 This version can be considered special because now players can activate one important and interesting function to add all the content from the beta versions to Minecraft 1.2.13.. 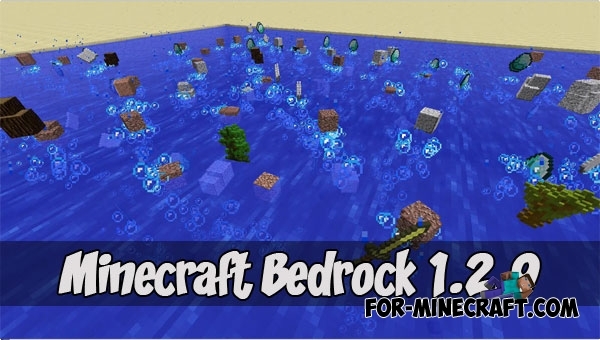 Yes, this is the first beta version of the underwater update and it is already available for Android, Win10 and Xbox, iOS users are waiting.. 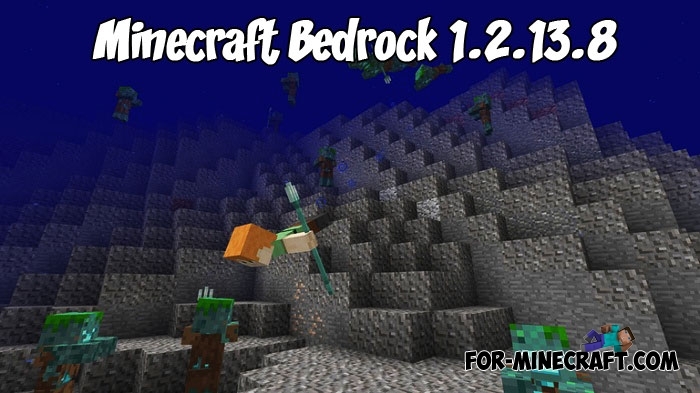 It happened and we became closer to Minecraft Bedrock 1.3, the release of which is scheduled in the near future.. Here is a grand update of Minecraft PE for your Android smartphones and tablets (iOS will appear after the testing is over).. 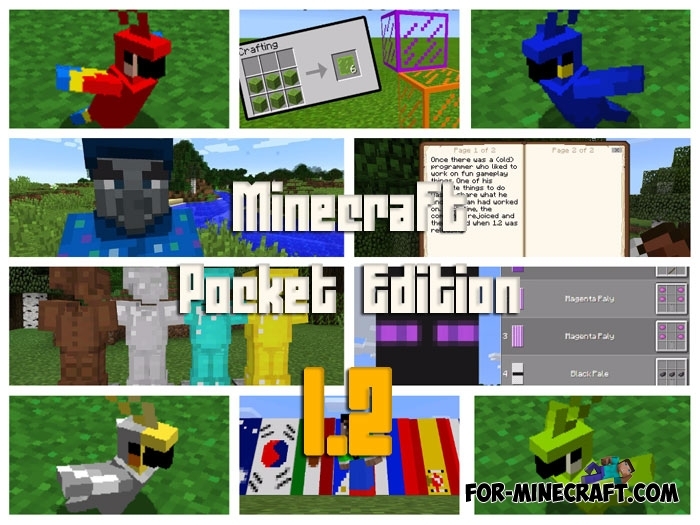 The next Minecraft PE update - 1.2.5 appeared earlier than the expected version 1.2.4..